Research shows that athletic competitors have higher levels of emotional intelligence than their non-athlete counterparts. Wrestlers, in particular, have a greater capacity to push themselves. With weight class requirements, they have to maintain their drive and focus around the clock for years at a time. “Once you’ve wrestled,” legendary Olympic champion Dan Gable once noted, “everything else in life is easy.” Anthony Paoletta is a wrestler. From his earliest days, it was all about sports. Anthony played them all. “Sports made me,” he says. Mostly, it was wrestling. He fell in love with the sport, competed well and wrestled his way to Worcester Polytechnic Institute (WPI), a research and engineering university about thirty miles south of our offices. At WPI, he studied engineering and earned an MIS degree. Agile, adaptive, disciplined and optimistic, too, wrestlers share the same characteristics of the best sort of entrepreneurs. It’s no wonder a disproportionately high number go on to achieve in business. Anthony would excel through 13 different roles at UPS over the next 10 years. From the delivery side, he assessed productivity and staffing (think Tom Hanks in Castaway). In operations, he learned to manage by listening to understand. “Everyone has their own story.” In sales and marketing engineering, he produced better experiences for customers like L.L. Bean. Later, at TJX, Anthony learned more about employee development. “They provided a great culture, workforce and an amazing talent development effort,” he notes. Then, when a close and accomplished colleague left to join Nestlé Waters, Anthony followed. As Operations Excellence Manager and then National Engineering Manager, Anthony engineered solutions for routing and led a group of 2 dozen Engineering Supervisors. We met Anthony earlier this year. He wanted something different; somewhere he could apply all that he’d learned in process engineering, talent development and leadership. “When the interview turned into a conversation,” Anthony reflects, “I knew the cultural fit was right.” In April, Anthony became our Sales Operations Manager. Away from the office, you might find Anthony at his daughter’s cheer events or softball games (his wife, a former softball athlete, is her coach). His son, now 5, has already been wrestling for 2 years. 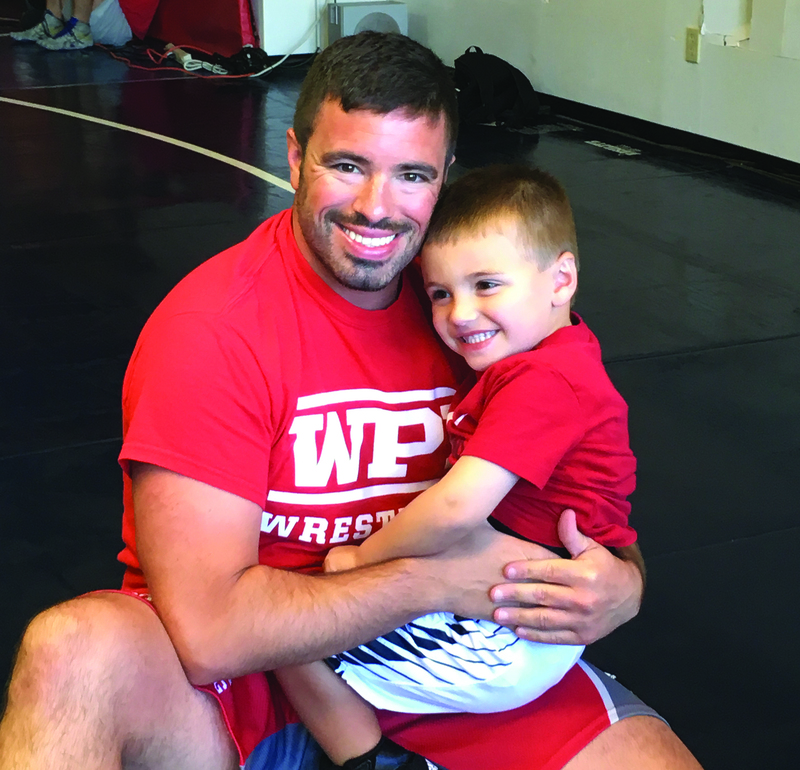 It is a WPI wrestling tradition that an alumnus’ first son receives the singlet his dad wore in his senior year of competition. It’s a little big, but he’ll adapt. That’s what wrestlers do.